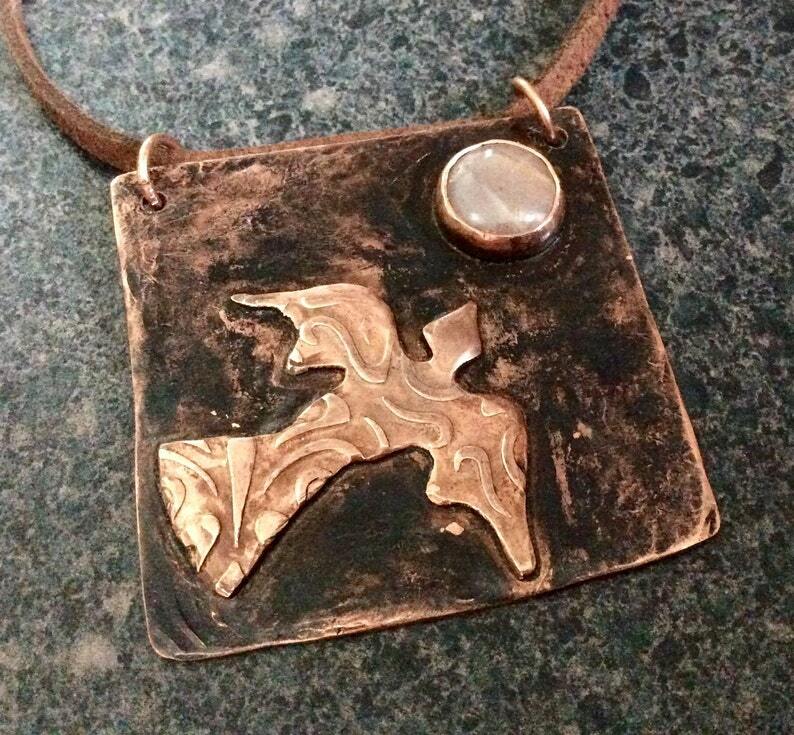 DOVE large rustic pendant depicts a soaring dove with a sunstone sun. Dove captures the Christian essence of peace, love and the Holy Spirit. This totem animal has been completely handcrafted by rolling the graceful scrolls then sawing the dove pattern and sweat soldering it to the textured antiqued sky background. The beautiful sparkling sunstone completes the piece in a gorgeous soft peachy hue. The entire piece was finished with a sealant to protect the finish. The Dove pendant is finished with a brown suede cord. This Dove pendant comes professionally tagged and boxed - perfect for gift giving!